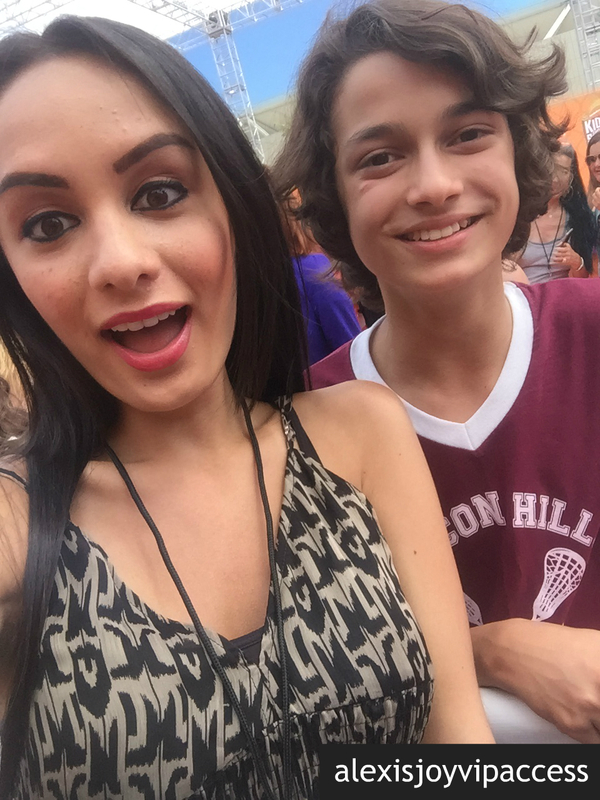 VIPAccessEXCLUSIVE: The Incredible Rio Mangini Updated Interview With Alexisjoyvipaccess At The 2016 Nickelodeon Kids’ Choice Sports! A genius at the piano, a phenomenal actor, and even an EDM producer – is there anything that the awesome and magnificently talented Rio Mangini can’t do?! Every day, the outstanding Rio Mangini continues to keep busy with all of his awe-inspiring and superb projects, and he manages to always leave us amazed with everything he works on. From his endless amount of on-screen projects including being a part of Nickelodeon’s highly-acclaimed, hit TV show, Bella and The Bulldogs, to getting on-board of Nickelodeon’s original movie, One Crazy Cruise, as well as other projects like Kickin’ It and more, Rio Mangini takes on each role and does such a remarkable job. Of course, anytime anyone talks about Rio Mangini, we always have to mention his exceptional piano playing skills and how he is bound to be the next Beethoven! In fact now, Rio Mangini is even joining the classical music world with the EDM world together through his great music projects like his recent single “Rio & Fugue.” It looks like fans will just have to continue to stay tuned because, as always, the incredible Rio Mangini has even more exciting projects that awaits for everyone to see! I, Alexisjoyvipaccess had the greatest honor of covering and attending the renowned and prestigious 2016 Nickelodeon Kids’ Choice Sports again, celebrating everyone’s favorite iconic sports stars and sports moments; and I had a terrific time catching up with and interviewing the brilliant Rio Mangini again at the event. Rio Mangini dished exclusively to Alexisjoyvipaccess all about what is one sport that he hasn’t tried yet but would like to try, who are two sports stars he would like to have on his team, and so much more only in our VIPAccessEXCLUSIVE updated interview. Rio Mangini even spills on how he gets up and gets active and it includes something about In & Out (We agree 100%, Rio!) – hear what he had to say in our VIPAccessEXCLUSIVE updated interview below. Thanks for another fun interview, Rio – always a blast chatting with you! Check out my VIPAccessEXCLUSIVE updated interview with the spectacular Rio Mangini at the 2016 Nickelodeon Kids’ Choice Sports below! Follow Nickelodeon on Twitter: @NickelodeonTV and join in on the conversation by using #KidsChoiceSports! Previous VIPAccessEXCLUSIVE: Sixx Orange Updated Interview With Alexisjoyvipaccess At The 2016 Nickelodeon Kids’ Choice Sports! Next VIPAccessEXCLUSIVE: The Wonderful Madisyn Shipman Updated Interview With Alexisjoyvipaccess At The 2016 Nickelodeon Kids’ Choice Sports!